A colorized postcard of 'Red Maples', the A.W. 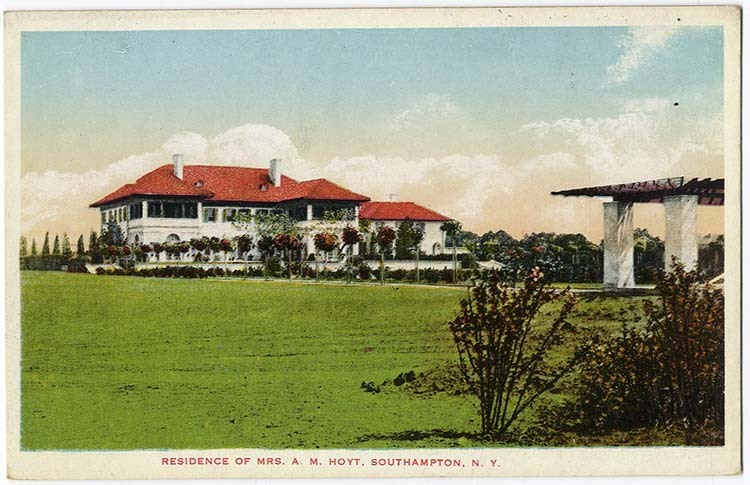 Hoyt estate designed by Hiss & Weekes c. 1908 in Southampton. Click HERE for more on 'Red Maples'. Put up a picture of the pool house. I meant to say, please put a picture of that wonderful pool house, if you have one. I don't have one unfortunately. Here's a question for the collected experts. well, two questions. first, in the corner that used to be red maples - there is a long drive and hedges bordering and right next door a small house with a formal garden feature - is any of this part of red maples? 2. nearby are two streets named "studio lane" and "artist colony rd". is there a story attached or just a quirky developer?